The ratio of oil to gel is adjustable, so you can customize your JELLU any way you want. You don’t need to buy all kinds of different styling products for different situations. Just change the ratio and create your own JELLU for whatever you need that day. The benefit of standard gel is that you can have nice, shiny hair that stays in place, but it also hardens your hair to the point that you can't even run your fingers through it. Furthermore, you can’t adjust or change your hairstyle after using standard gel. However, JELLU solves all those problems by adding oil to the gel. With JELLU, your shiny, silky hair will sway in the wind naturally, but it will still stay in place. 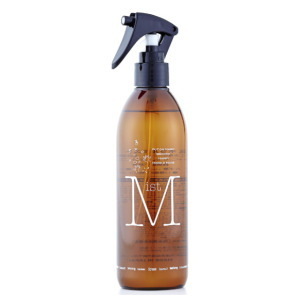 This is the ideal styling product for all occasions. You can custom-make your JELLU depending on your feeling, fashion, or daily plans. Each day, you can change JELLU any way you want. Everyday, boring, tiresome styling will become fun. It will become something you look forward to. JELLU will not only style your hair, but it will also help grow your new hair to be more beautiful. 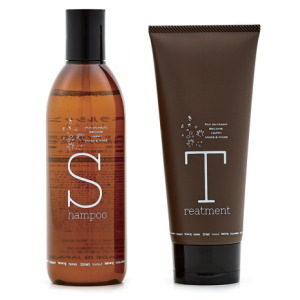 The mist from this product line will maintain your scalp, and this gel and oil will moisturize and repair your hair. 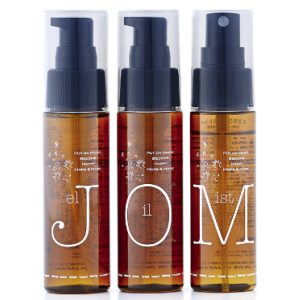 It helps hair grow stronger and shinier, and it also protects your hair from sun and dry weather. This anti-aging molecule will eliminate active oxygen, and it helps your hair grow stronger and gives it a silky texture. Fullerene is a carbon allotrope such as diamond, but it is shaped like a ball. The anti-oxidizing power of this element is supposed to be 1,000 times that of vitamin E and 100 times that of β-carotene, and it will protect your skin and hair from the sun. Astaxanthine is a type of carotenoid that is contained in seafood. 1. Take a shower to wet the hair, or use the mist. 2. Comb the wet hair. 3. Combine gel and oil. 4. Enhance with magic spell. 5. Apply JELLU to the hair, starting from the hairline. 6. Comb the hair inward, and leave the hair to dry naturally for 10-20 minutes. 7. In the meantime, change clothes, apply makeup, grab something for breakfast, and get ready. 8. Dry the hair on the back of your head using your fingers. To dry, lightly blow-dry all your hair from bottom to top. 9. Use a comb to style the hair in the way you want, and you're ready to go!